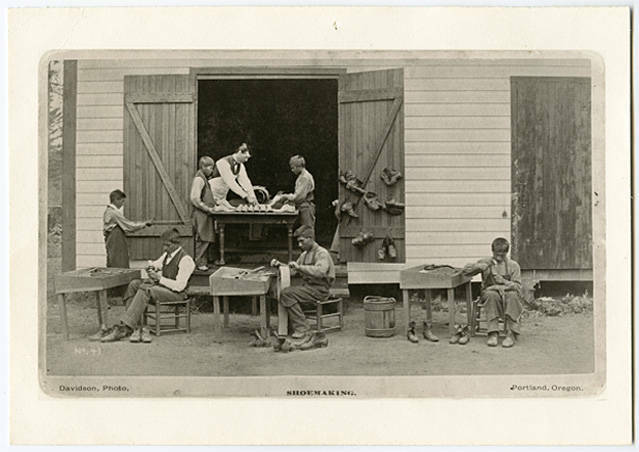 A photo of the shoemaking class of the Forest Grove Indian Training School. The six boys are in western dress and are performing various shoemaking tasks. A teacher is present assisting the children. Complete shoe pairs hang from hooks on a door. No. 41. Davidson, Photo, Shoemaking, Portland, Oregon.